Do you know how to french braid? I still remember teaching myself when I was younger – practicing over and over. 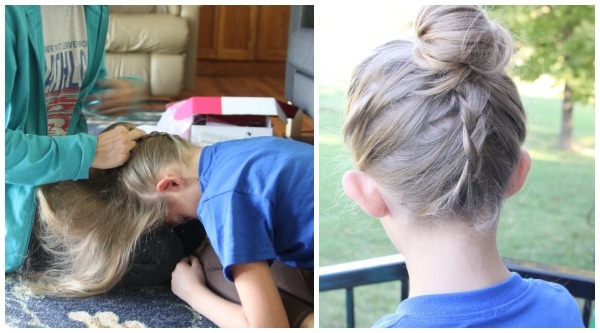 I love a french braid – once you know how to do it, it’s fairly easy and quick. I think it’s a go-to for hair on school days and such. 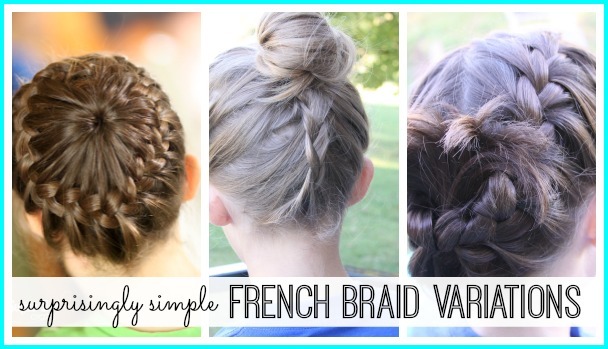 But if you’re in a rut with the regular french braid, I have a few simple ideas for you today – if you know how to french braid, you can do these! 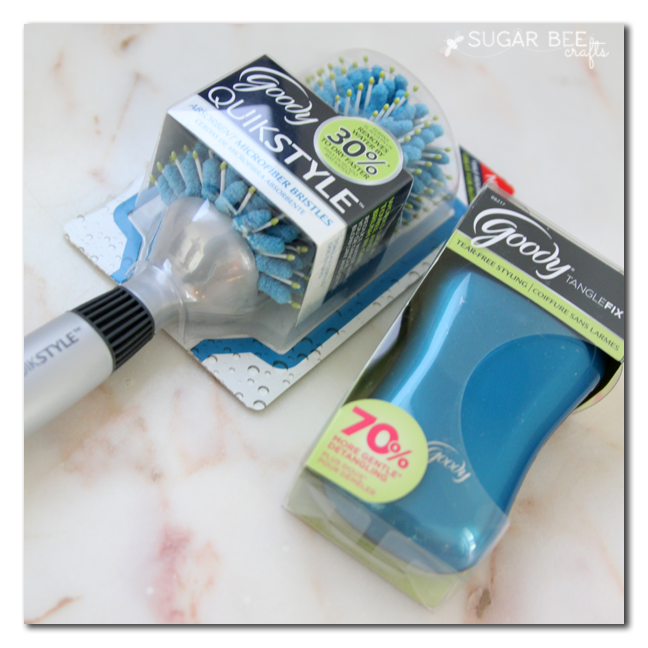 And a tip on what Goody Brush we’re loving right now. These are quick and easy hairstyles – an easy way to pull a look together before school, without a ton of effort. 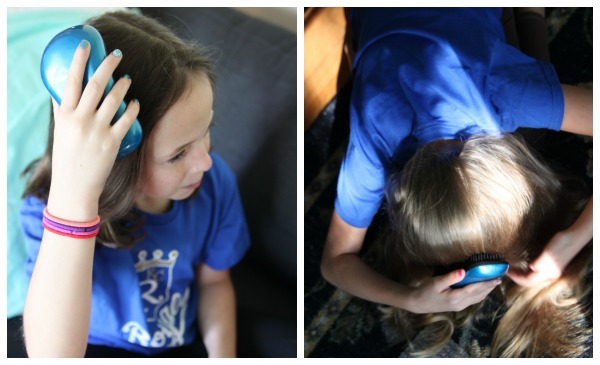 First prep hair by brushing – a quick an easy way we just discovered is the Goody Tanglefix brush (and what what, go Royals!). My girls have been talking about this brush since they were told about it by their cousin – they’ve been wanting one and now their dreams came true 🙂 It’s easy enough for them to use and get all the tangles out (which can be quite the feat otherwise). We found ours at Walgreens. 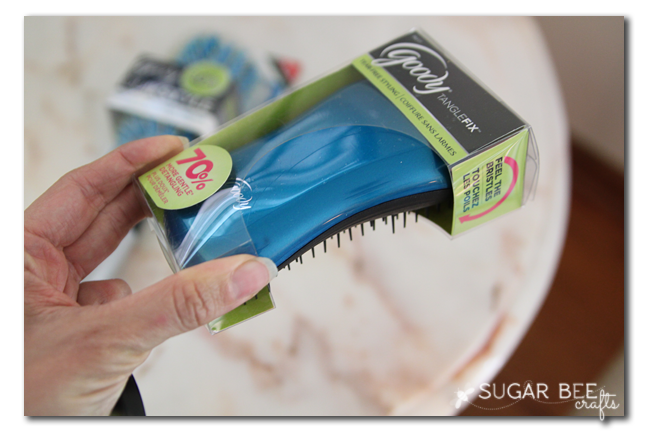 We also tried out the Goody Quikstyle brush which is great because it can even dry a little as it brushes wet hair – and we are in the night hair-washing routine, so this brush has been put to use. 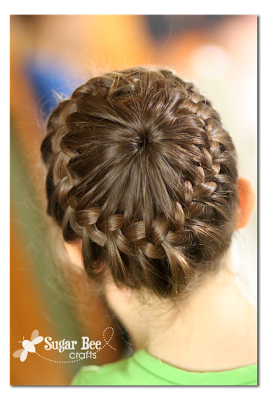 So, first up – – the Crown French Braid…. To do this, you pull the middle up in a ponytail, but leave out the edges all around. Then you just french braid the edge but when you go to pick up from the side by the middle, pick up from the pony tail. IT’s just a basic french braid in a circle, and it looks great – once you do it a time or two, it should just take less than 5 minutes. Next up, Double Braid Flip. Divide the hair into two and make two french braids – this is great for shorter hair that might not reach into one middle french braid, but that is long enough to reach into two side braids. Then gather the braids together in one ponytail in the back. Take off any extra rubber bands. Then turn the ponytail under and up through itself, popping the ends out the back. So cute! And finally the upside-down french braid. To do this simply start at the bottom instead of the top. When you get the top of the head, pull it all into a ponytail and secure into a bun. And, at participating Walgreens stores from 9/28/14 til 11/01/14, you can get Buy One, Get One on all all Goody products (including both the brushes we tried – the Quikstyle and the TangleFix) while supplies last – you must have and use your Walgreens Balance Rewards card (you can sign up in store if you’re not already a member). Go grab yours – your kiddos will love it! Have had long hair (3o” and longer) on and off my whole life and never figured out how to french braid. I simply can’t do it if I can’t see it! Argh! Will you come over and braid my hair? I love the crown braid. I will serve homemade cookies! I have shared this on my blog. Thank you for such good information.